Once a common sight on UK roads, the MG derivatives of Rover's lineage from the turn of the millennium are in danger – with 78% already scrapped. Once the staple of Britain’s automotive diet, the MG ZR, ZS and ZT defined a generation of drivers. Inexpensive and fundamentally dependable, the sporty alter-egos to Rover’s sensible 25, 45 and 75 range epitomized British post-millennial verve. Produced between 2001 and 2005, the MG assortment proved popular and plentiful with the masses. Now they are in danger. As with any affordable commodity, values have remained rock-bottom for the best part of a decade. As such, the MG ZR, ZS and ZT are disappearing from our roads with alarming pace. More than 78% of total cars built have already been scrapped. 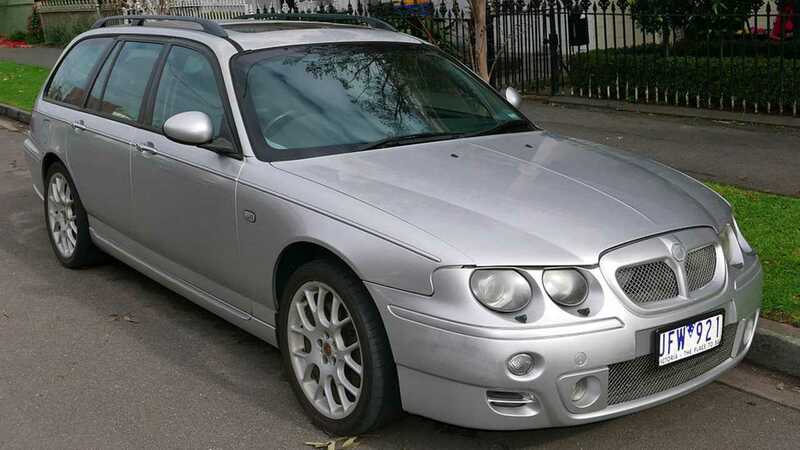 At the turn of 2006, with MG Rover having fallen into administration, the number of ZR examples on UK tarmac totaled some 51,116, with 20,055 ZS and 19,020 ZT & ZT-T models cluttering up Blighty’s streets. Combined, there’s currently less than 20,000 left on the books. While that’s still a sizeable number, judging by trends suffered by previous models from the MG Rover range, this number will fall dramatically over the next five years. However, the MG car club are hopeful to slow such depletion with a new campaign; Save Our Zeds. Besides highlighting the loss of Britain’s final stab at mass-produced, home grown car manufacture, the scheme seeks to help equip owners with the right tools to keep their cars running, rather than consigning them to the scrapheap. John Thompson, Chairman of the Zed Register, commented “Today’s culture of financial incentives to scrap older cars when purchasing cars on PCP or lease deals versus the cost of repairing an older car appears to rule out repairs as a viable option. "There are many quality MG specialists & parts businesses across the UK; and the MG Car Club offer member discounts with some of these suppliers, so repair really is a good choice. "The Zed range of cars is an affordable way into MG ownership, and the growing Modern Classic scene, with good condition cars available from as little as £350. This makes a Zed car a great option for a young driver as a first car, as well as something fun." Adam Sloman, General Manager of The MG Car Club, added “This decline in Zed cars is something we as a Club have heard many stories about at classic car events up and down the country.